Iceland is an island nation located in the North Atlantic Ocean. 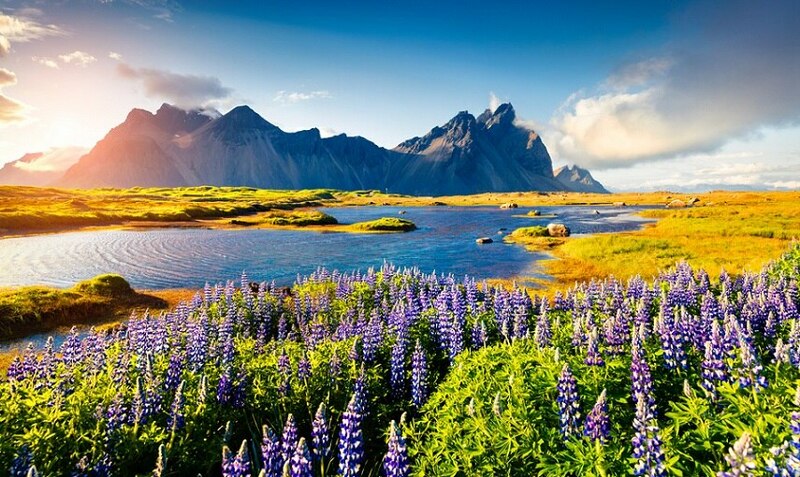 Although the name of the country is "Iceland", Iceland has a temperate climate, geothermal hot-spots and hot springs. As Iceland participates in the Schengen Agreement, depending on your citizenship and whether your country is a part of the agreement, visa requirements may differ. Generally, a tourist visa is not required for stays less than 90 days. Please be sure to check with your local embassy before booking your ticket. Duty-free imports include up to 3 kg of food under the value ISK25,000, (for passengers aged 18 or older) 200 individual cigarettes or 250 grams of other tobacco products, (for passengers aged 20 or older) 1 liter of spirits, and 1 liter of wine. I have always been fond of Iceland ever since I was a child. When I finally saved enough money to get the air ticket, I couldn't wait to go. I bought the ticket from WOW airline for a direct flight. The service was great, and the staff was friendly. Fortunately, I was able to get a window seat, so I was very happy about that also! Being able to see Iceland with my own eyes as we flew nearer was incredibly moving. I have always been fascinated with mythology, especially mythological creatures like elves. After a bit of research, I found the best place to learn about elves is the Elf School in Reykjavik, Iceland. I searched tirelessly for the cheapest air ticket and found German Wings Airline offered the best ticket price! I booked my ticket and was off to Iceland, I could not believe it. The Elf School and the staff there made my trip a truly unforgettable experience. Q. When should I book an air ticket to Iceland? A. Iceland has something special to offer for all seasons. The summer provides more daylight for exploring, while the autumn leaves in Iceland are breathtaking. Spring offers comfortable weather, while, winter is known for the famous Northern lights. It is recommended to purchase an air ticket depending on your preference as it varies from traveler to traveler. Q. Are there any bus services in Iceland? A. Yes. Buses work all year round in Iceland but run less frequently in winter. Various types of bus tickets are offered from Reykjavik Excursion. Q. How do I get a ticket to Iceland? A. It is recommended to book at an off-season time like winter for cheaper air tickets. Though there are many meta-search sites and companies, here at skyticket, our search engines find the cheapest tickets for you, whenever you need them, making the process easier and faster. Airports handling direct flights to Keflavik International Airport ・Munich Airport ・Heathrow Airport ・Copenhagen Airport ・Dusseldorf Airport ・John F. Kennedy International Airport ・Logan International Airport etc. Iceland's main airport is the Keflavik International Airport. Direct air tickets from Iceland is available with Czech Airlines, Norwegian, Lufthansa, Air Berlin, and several other airlines. Visitors should book their air tickets well in advance as the number of flights to and from Iceland is limited.